Spread the word! Larry Keigwin is teaching at the Taylor School on Friday, April 27th from 10AM-11:30AM. 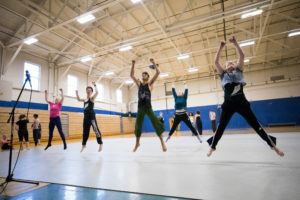 Class Description: Participate in a vigorous and fun intermediate/advanced class that will include a warm-up that moves quickly into phrase work emblematic of KEIGWIN + COMPANY's style. Emphasis will be on learning and mastering phrase work by employing curiosity, a sense of humor, and our collective passion for movement. Spread the word! Larry Keigwin is teaching at the Taylor School on Friday, May 18th from 10AM-11:30AM. 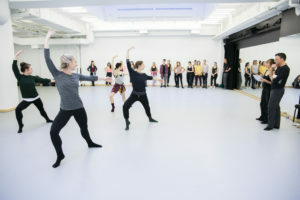 Class Description: Participate in a vigorous and fun intermediate/advanced class that will include a warm-up that moves quickly into phrase work emblematic of KEIGWIN + COMPANY's style. Emphasis will be on learning and mastering phrase work by employing curiosity, a sense of humor, and our collective passion for movement. On Saturday, May 19th, 2018, Symphony Space will celebrate Leonard Bernstein's Centennial at the annual, daylong Wall to Wall Festival. KEIGWIN + COMPANY is thrilled to return to Wall to Wall for the second year in a row, performing audiences favorites Episodes and Waterfront. Wall to Wall is a free event! Performance Times Episodes at 4:30 pm Waterfront at 7:20pm Visit Symphony Space's website for additional information: http://bit.ly/kcowalltowall. Larry Keigwin is teaching at the Taylor School! Friday, January 11th at 10:00 - 11:30am Class Description: Participate in a vigorous and fun intermediate/advanced class that will include a warm-up that moves quickly into phrase work emblematic of KEIGWIN + COMPANY's style. Emphasis will be on learning and mastering phrase work by employing curiosity, a sense of humor, and our collective passion for movement. Larry Keigwin is teaching at the Taylor School! Friday, February 8th from 10:00 - 11:30am Class Description: Participate in a vigorous and fun intermediate/advanced class that will include a warm-up that moves quickly into phrase work emblematic of KEIGWIN + COMPANY's style. Emphasis will be on learning and mastering phrase work by employing curiosity, a sense of humor, and our collective passion for movement. K+C Co-Founder, Nicole Wolcott, will be restaging Caffeinated for the Peridance Youth Ensemble. 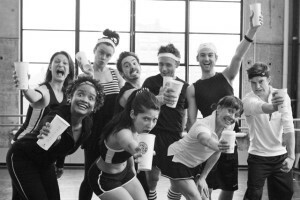 Caffeinated will be performed at Peridance in New York City on Sunday, March 3rd at 7:00pm. Larry Keigwin is teaching at the Taylor School! Friday, March 8th from 10:00 - 11:30am. 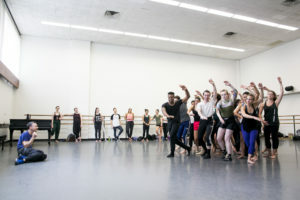 Class Description: Participate in a vigorous and fun intermediate/advanced class that will include a warm-up that moves quickly into phrase work emblematic of KEIGWIN + COMPANY's style. Emphasis will be on learning and mastering phrase work by employing curiosity, a sense of humor, and our collective passion for movement. Larry Keigwin is teaching at the Taylor School! Friday, April 12th from 10:00 - 11:30am. 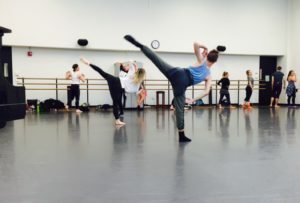 Class Description: Participate in a vigorous and fun intermediate/advanced class that will include a warm-up that moves quickly into phrase work emblematic of KEIGWIN + COMPANY's style. Emphasis will be on learning and mastering phrase work by employing curiosity, a sense of humor, and our collective passion for movement.